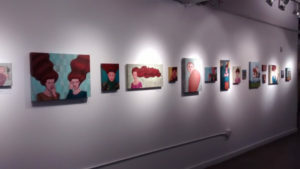 The show opening for Person, Place or Thing was last Friday! I’m so excited! Looking back, I feel pretty good about how it went. 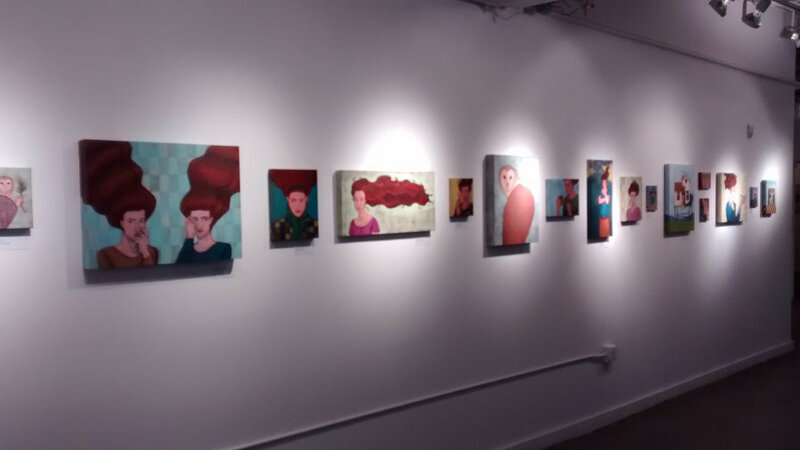 My art had very good placement; a whole wall at the front of the gallery, right as you come in the front door! 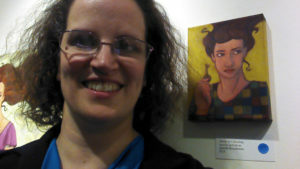 Me and a star of the “Person, Place or Thing” show — sold! On my side, I had several people come! Friends, family, neighbors… a college roommate I haven’t seen since I graduated showed up, too! It was exciting to see them all. Even more said they couldn’t make the opening, but would come see the exhibit during regular gallery hours while it’s up, which pleases me. So while the show is up, I’m taking time to prep for my NEXT show! And get some good working time in during these last two weeks of kids-going-to-school time. Once it’s summer, my work schedule will be severely uprooted… and I have a commitment to have 40 pieces ready for next summer.